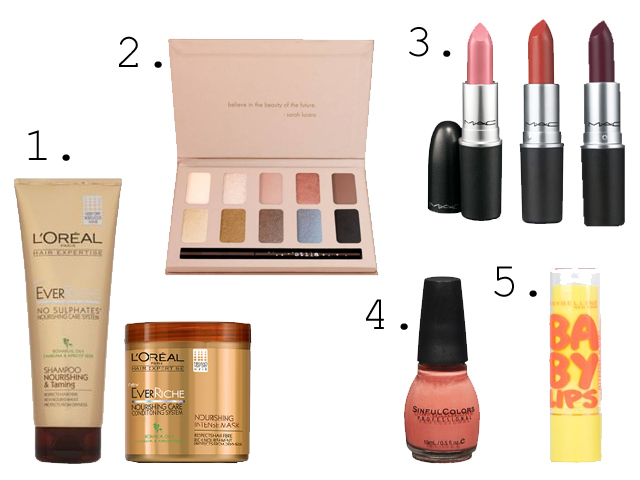 My No-Buy August: Week 2.. & A Wishlist | Becky Alyssa's Beauty Box. Starting off Week 2’s round-up post a little early since I’m off to the British countryside with my American family to enjoy all the hilarity & ridiculousness that will no doubt ensue (was about to get kicked out of Marks & Spencer for ‘staff harrassment’ last week thanks to my strange, eccentric cousin). Anyway! Week 2 didn’t quite go to plan. The Americans and I went on a jam-packed touristy day to London, which of course ended up with a whole lot of shopping. For example, the H&M near where I’m living is currently a bit dull and hardly exciting; however the H&M in Covent Garden is full of wonderful things. Instead of buying everything I liked the look of in a fit of madness, I did take the time to try everything on and only went home with basic but flattering & lovely things I can wear with other pieces in my wardrobe. And of course, no one can leave Victoria’s Secret empty-handed – I bought a bottle of PINK Warm & Cozy Body Mist since I smelled a little unsavoury from a few uncomfortable tube journeys. I already have the EDT and hope they will complement each other well. It took a whole lot of restraint not to buy even more beautifully-packaged fragrances or super-soft bras, so I definitely performed much better than any of my previous trips to the store. I did see quite a few things this week that I LOVED but managed to convince myself not to, so here’s a short visual wishlist to come back to once the No Buy is over to see if I really want/need all of it! 1. L’Oreal EverRiche Shampoo & Intense Mask – Yesterday I was waiting around in Boots to pick up a prescription for an ungodly amount of time, thanks to staff cuts. Which is always bad news, since it means I’m exposing myself to items in the store that I really like but probably don’t need. I’d been using Not Your Mother’s Way To Grow Shampoo for months (review to come soon!) but to put it nicely, our relationship didn’t quite work out in the end. I need a nourishing shampoo to take care of my hair before dyeing it in a few weeks, but then remembered I still have 2 bottles of my trusty Aussie Miracle Moist shampoo plus some other hair masques to use up first. This shampoo smells incredible, like creamy vanilla pudding and I definitely want to try it at some point. 2. Stila ‘In The Light’ Palette – I’d heard a whole lot about this palette and eventually spotted this whilst visiting the giant Boots store in Southampton. Although the colours are gorgeous and wearable plus I really want to try out the popular Smudge Sticks, I still have a couple of neutral palettes I haven’t even touched yet. This was hard to resist as the colours and packaging are so lovely – maybe in the future? Lovelorn: A very flattering warm creamy pink that actually suits my red hair. See Sheer: Like ‘Crosswires’ but more sheer and wearable for everyday – subtle but so pretty. Need it! Rebel: Seriously, how often will I wear purple lipstick? This looks more pink on some people but comes up as a vibrantly bright purple on me that stains the lips and would probably stay put forever. Maybe for those ‘I-don’t-give-a-f’ days. 4. Sinful Colors Nail Polish in ‘Vacation Time’ – Boots have started stocking Sinful Colors polishes lately – at only £1.99 each they’re very affordable. Not to mention that this brand always has so many good reviews on their polishes – this one seems to be top-rated just about everywhere. For the price, I was so tempted to pick this up but then remembered I have a similar one by MUA I haven’t even tried yet. Talk about good self-control! 5. Maybelline Baby Lips in ‘Intense Care’ – Although the packaging is super-cute and they’re a great novelty product, the two Baby Lips I’ve tried in the past haven’t wowed me much. I only spotted these in Boots yesterday after waiting weeks past the supposed ‘UK release date’. This one promises to have high SPF and smell of cherry almond (yum! ), but as we’re halfway through August our sunny days are numbered so this isn’t an absolute essential. What products are you lusting over this week? Any no-buy stories to share? This entry was posted in Uncategorized and tagged no buy, wishlist. Bookmark the permalink.